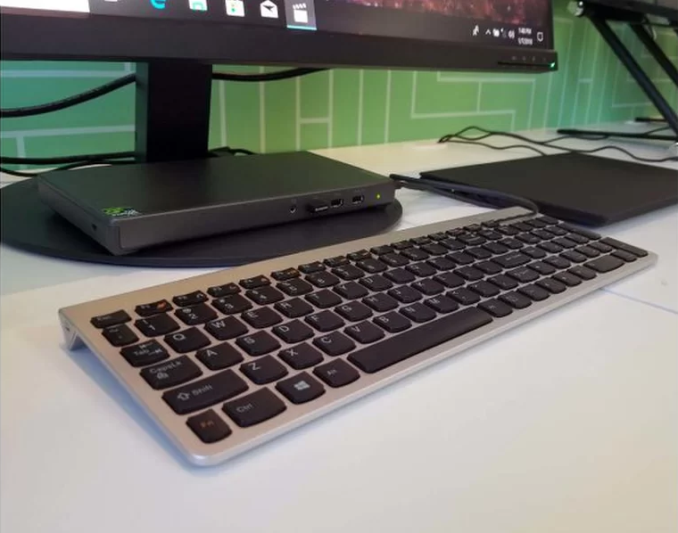 Lenovo’s new Thunderbolt 3 Graphics Dock was created to connect to a thin and light Ultrabook, like its IdeaPad 720s. The NVIDIA Geforce GTX 1050 4GB MXM GPU inside is able to provide mainstream graphics performance – enough of a boost to get the device well-past the Windows Mixed Reality door. In fact, Lenovo says it supports WMR at 90 Hz. The GTX 1050 inside will not be able to handle the top-end VR HMDs, the Lenovo TB3 Graphics Dock is ideal for average users looking for a little more GPU horsepower at their desk. 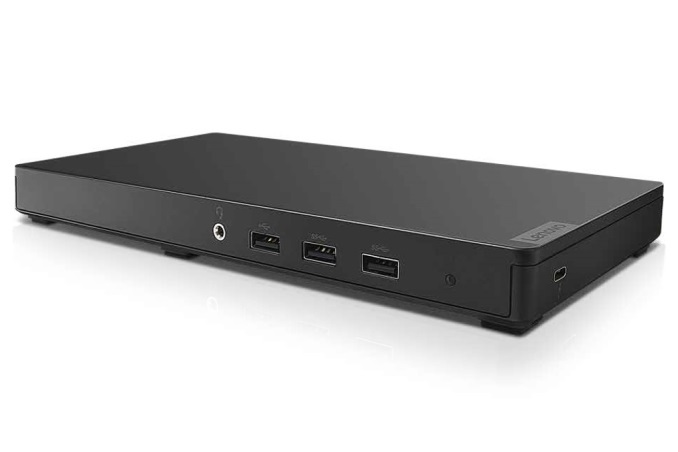 The new dock is powered by a 170W AC adapter and connects to your PC via a USB Type-C cable. The dock offers up to 65W of power for attached PCs, but the only currently certified device is the Lenovo IdeaPad 720S. 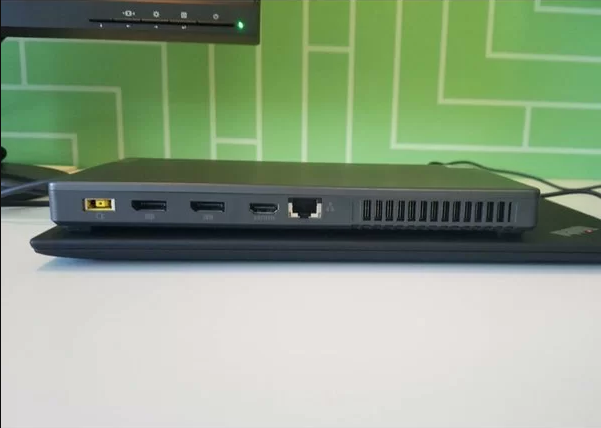 However, the company showcased the new dock with a ThinkPad X1 attached, indicating more devices will likely be added to the compatibility list. As far as size goes, the Lenovo graphics enclosure is much smaller than competing devices which require end users to purchase their own graphics card, measuring in at 5.12 x 9.76 x 0.89” and weighs in around 1.51lbs. The gunmetal colored chassis gives the device a sleek look that can mesh well with home office décor. Additionally, there are three USB ports (two USB 3.0, one USB 2.0) to connect additional peripherals and storage to your PC without using all of your ports or having dongles dangerously dangling from the sides of the PC. You can connect up to three displays to the dock using an HDMI 2.0 port or two DisplayPort 1.3 interfaces. It also sports a Gigabit Ethernet power and a headphone-out/mic-in audio combo jack. The Lenovo Thunderbolt 3 Graphics Dock will be available sometime this month for $399. Derek Forrest contributed to this report. This is future of where graphics should go - why include extra graphics on systems and give people a choice external to notebook when they need it. But compatibility and price is important. One thing I thought would be really cool if possible - is a special add on card that would be similar to Intel / AMD board but allow choice of Video card by using high speed directly to processors. So if someone wants AMD they can installed it, some one wants NVidia they used different card. If some one does not care about external graphics then just leave it out. So close, yet didn't put any USB ports on the back meaning this can't be used as a neat and tidy desktop dock.